Nobody likes to see their neighbours buying nice things and a big house on credit and being bailed out when they can no longer keep up with the payments. For the banks, the critics of the article argued, it was different. They were given temporary aid, which they paid back (well, at least in the US they did), and this was done because banks are so important to the general economy that they could just not be allowed to fail. “Individual impulse spending using short-term debt does not deserve to be rewarded with forgiveness unless it is through the bankruptcy court system,” one reader wrote to me in an email. Don’t get me wrong, I agree with this statement, in principle. Profligacy should never be rewarded. But the problem is that the entire Western economy has been built on the basis of profligacy – and this has been spreading to developing economies, too. In the UK, for instance, because of the housing bubble, households have had to borrow increasing amounts just to be able to live in better conditions than in rented accommodation. With tenancy agreements running for short periods, from six months to a year typically, the British are more likely than other Europeans to want to buy their own homes. This, combined with strict planning laws and land hoarding by developers, as well as foreign investors using London property as a safe haven, has pushed prices beyond the reach of many ordinary British families. Another problem is that in Europe, unlike in the US, a family’s biggest debt obligation – their mortgage – is full recourse. Even if the house is sold off, if the price obtained for it does not cover the debt, the banks will still pursue the unlucky former homeowners for the rest of the mortgage. This has had a very important – and often understated – contribution to the prolongation of the eurozone crisis. People who are perpetually in debt cannot consume more. In Spain, a petition last year calling for the law to be changed so that banks cannot claim more than the value of the house at the time of the foreclosure gathered at least 1.5 million signatures. There have been cases of suicides by people who owe money in countries like Spain or Greece – these were people who were unable to keep up the repayments and were being pursued by creditors. In Spain, mortgage debt is around two thirds of gross domestic product, and home prices have fallen by a third from their peak before the global financial crisis. This makes it nearly impossible for someone who bought a home at the top of the market to ever be able to repay the mortgage. In many European countries, personal bankruptcy procedures are lengthy and costly, or, in other countries, there is no personal bankruptcy legislation at all. Once in debt, you are in debt forever unless you manage to repay. This has been weighing heavily on the eurozone’s ability to recover from the financial crisis. People prioritise paying off their debts above anything else, so consumption has tumbled. Despite numerous rounds of stress tests, there is still not much trust in European banks. 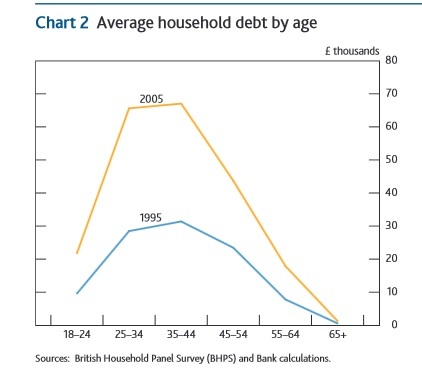 The huge household debt burden has a lot to do with this. In many cases, the banks have preferred to take the “extend and pretend” route, keeping quiet about the fact that some of their clients missed or delayed some payments. The European Central Bank’s stress tests and asset quality review earlier this year have tried to address this issue, but the mistrust in European banks’ balance sheets has continued. In the eurozone, total domestic banking assets were nearly 270% of GDP in 2012 (that is down from around 300% in 2008, which explains why the crisis has been so deep in the single currency area – deleveraging to the tune of 30% of GDP will always be painful). In the US, the ratio barely budged by comparison, falling to a little under 72% of GDP from around 75% over the same period, according to an ECB Banking Structures Report issued in November last year. This has affected savers, too. Low inflation — and outright deflation in some places — have been caused by plunging consumption, prompting central banks to keep interest rates low and print money, which means cash savings have seen negative rates of return. Prudence has served to keep savers out of the nightmare of never-ending debt. But in a world of low interest rates, these savings now offer little reward. While profligacy should never be rewarded, something should be done to address problem of household debt weighing on the recovery. Bailing out the big spenders might indeed sound like rewarding bad behaviour. But if you stop and think, just like the banks were saved to avoid a bigger crisis, it is becoming increasingly obvious that households should be saved for the same reason. 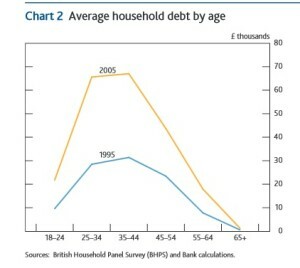 Demand will continue to be depressed for as long as households are in debt. Wipe the slate clean and start over, sooner rather than later. If anything, the past six years have proved that this is the only way to truly get out of the crisis. Savers are rewarded when the free market sets prices, not central banks.